One of the largest exporter of lemons in the world is preparing to send its first shipments of the season from Argentina to Europe. 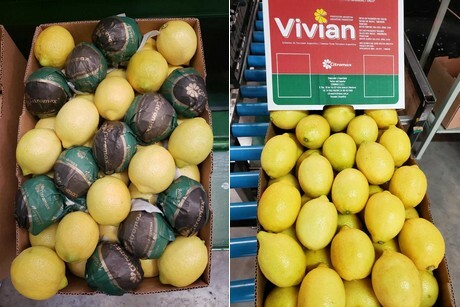 Citromax is already shipping lemons to the US and by the end of the month, lemons will also be on their way to Europe. "Loading exports to the European market will start in the last days of April, or at the beginning of May," shared Bernabé Padilla of Citromax. "The average transit time we have to the main ports is 30 days, so the first arrivals are expected at the beginning of June. We will start with European markets that have a lighter presence of Verna Spanish lemons such as Greece, Italy, Poland, Scandinavia and the UK." Citromax will be sending less of their lemons to Europe this year. The reason is because the US has now re-opened to Argentina's lemon exporters, the company will be directing more lemons from Europe to the US this year, easing a dependence on the European market. "For Citromax, the European market will represent 50 percent of our exports this year," Padilla noted. "Our historic share was 60 percent but with the US market reopened, we have new possibilities for our lemons and will not depend so much on the European market." 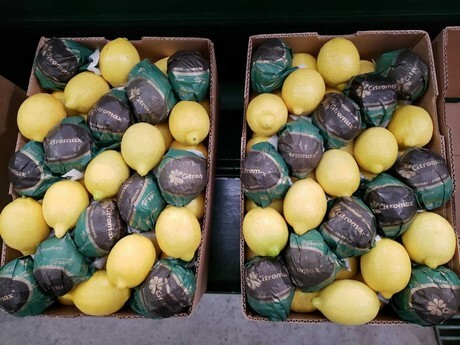 Bulk fresh lemons are set to make up the majority of Citromax's European shipments, with 18kg boxes the main packaging option. Padilla also noted that the company offers 15kg boxes for the UK market and 6kg for buyers in France. "Wooden bins are also used by some receivers that have retail programs," he added. Citromax has a notable organic program, which is a category they see as continuing to grow. Consequently, the company plans to increase organic exports along with non-treated lemons. "Citromax will increase non-treated and organic fresh fruit exports," Padilla concluded. "We will develop relationships with partners that are specialists in these kinds of products."